(Also known as The PCA) is a monthly business letter written for general managers, owners, operators and board members of private clubs. The letter is designed to educate and inform decision makers of private clubs on industry trends, governmental regulations, recommended policies, best practices and more. The simple and condensed four-page format creates a quick and efficient resource that keeps club executives up to date on relevant, important and helpful information to ensure a more effective decision-making process. Each issue covers a wide variety of topics resulting in a powerful and valuable resource for private, semi-private, country, yacht, city, golf, tennis, university, military, athletic, resort-style or other type of private membership club. The PCA-Plus is bi-monthly newsletter only available to current subscribers of The Private Club Advisor. PCA-Plus focuses on operations and is written for general managers and club management teams. The Private Club Advisor was launched in 1990 by Eldon Miller, a journalist with more than 40 years experience in the club industry. Miller was joined in 2003 by former Club Management magazine Editor Teri Finan. In 2012, Jackie Carpenter took over as the third Editor in the history of the publication. Miller continues to serve as Editor at Large. Editor Jackie Carpenter, CCM has been in the hospitality industry for 20 years including 14 years with private clubs. She has a Bachelor’s Degree in hotel and restaurant management from Iowa State University, Ames, IA, and a Master’s Degree in hospitality management from the University of North Texas, Denton, TX. 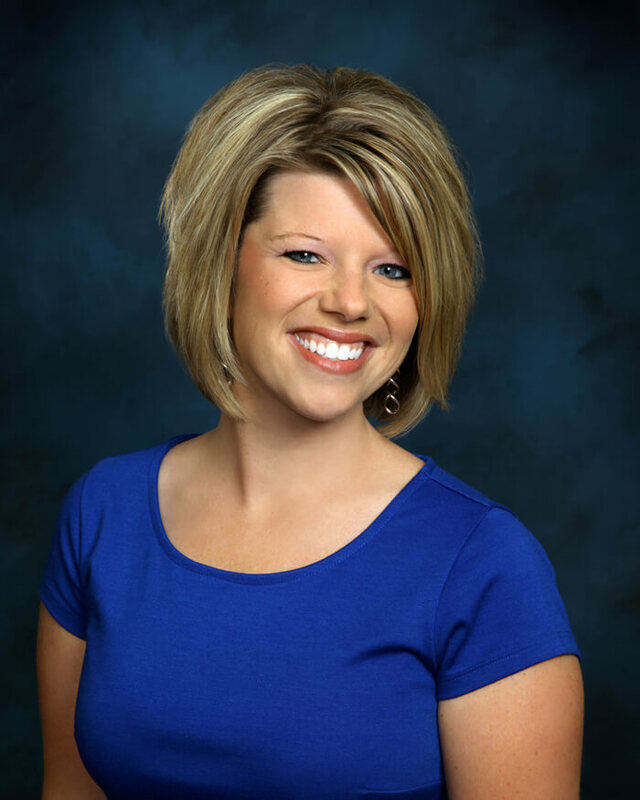 Jackie has been a long time member of the Club Managers Association of America (CMAA) and earned her Certified Club Manager (CCM) designation from the association in 2010. Her work in private clubs has included Cordillera in Vail, CO, Wakonda Club in Des Moines, IA, Dallas Country Club in Dallas, TX, and Nashville City Club in Nashville, TN and positions held include Clubhouse Manager, Membership Director and Director of Club Experiences. Batchelor Frenchette McCrory Michael & Co. The PCA Archive CD is a quick, convenient way to access every article ever published! The easy-to-search feature makes this a must-have resource for any club. The 2018 edition includes every issue of the PCA from January 1990 through December of 2017. The PCA Archive CD’s unique format allows you to print entire issues of the PCA by month, or you can use the keyword search to locate, review and/or print only the pages you need. Current PCA Subscribers pay only $99! $49 if you've purchased the 2018 version! It’s almost like PCA has ESP! Often I receive my monthly subscription and feel like the current edition is about what’s happening at my club. It’s exactly the information and reinforcement I need right then. I get so many newsletters and industry magazines but PCA is the one my Board and I probably depend on the most. It’s short and concise but a very powerful and helpful tool for club managers and their Boards! 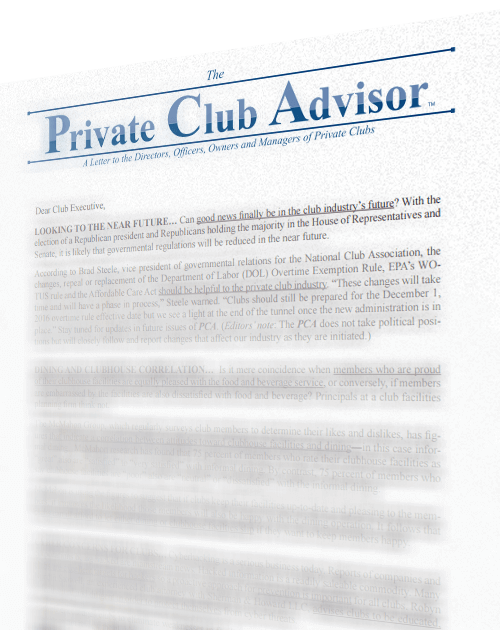 Of the several Club publications I have read, I believe The Private Club Advisor is the best. The editors have consistently shown an uncanny ability, not only to identify the most important issues facing clubs, but to identify them at the exact time those issues arise. My board members and I consider The Private Club Advisor to be an essential source of information for decision-making at our club. The Private Club Advisor has proven to be an invaluable management resource for all areas of the private club operation. As a subscriber for over 15 years, I can attest to this publication’s relevance, insight, and interpretations as being timely, well-researched, and easily digested. The topics covered in PCA provide immeasurable value as discussion points on both the management and Board level.